Last week, in conjunction with Timber Windows, we launched our incredibly popular Winter Sale, and this year it is going to be our biggest ever! Historically this huge 20% discount has only applied to a select few product ranges, predominantly sash windows and doors, but for the first time ever this has been extended across the entire board of Engineered Timber products! 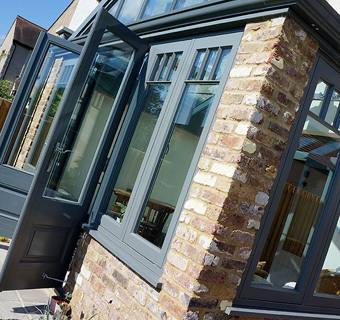 From our majestic sash windows, to our intricate deco casements and our striking doors, there has never been a better time to get in touch and talk to us about your project. 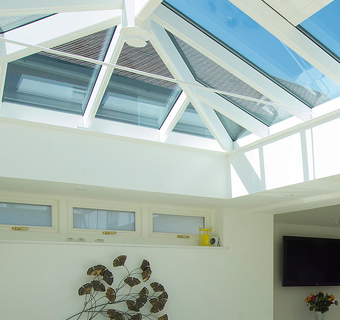 Our luxurious showroom here in Harborne is located just 10 minutes from Birmingham city centre and displays the whole range of our Engineered Timber products, including a complete orangery, as well as many of our other wonderful items. We have a dedicated aluminium section showcasing our elegant and contemporary options with a stunning backlit roof lantern, Origin bi-folding door and Hörmann garage door, a whole host of Luxaflex interior window dressing solutions, from traditional plantation shutters to modern motorised blinds, our latest line of fascia, soffits & guttering (FSG), finished in a delightfully authentic cast iron effect and last, but certainly not least, the showroom is housed with our exclusive Bygone sash windows and Evolution Timber-Look Joint flush casements which are the very best options uPVC has to offer. 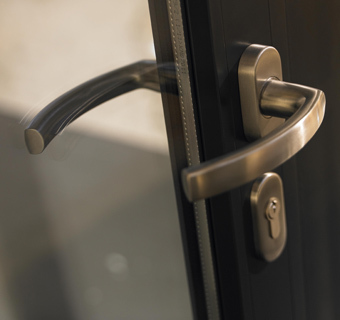 No matter what your requirements are, The Harborne Sash Window Company can help. So why not see what we can do for you by calling 0121 427 8800 or emailing info@harbornesash.com. The showroom is open 6 days a week, 9-4 Monday through to Friday and 10-4 on a Saturday. You are welcome to come down any time you like to browse through our products over a nice cup of tea or coffee but we strongly recommend that you call ahead to book an appointment if you want to able to speak to one of the team during the working week. Saturdays are a slightly more informal affair where it is first come, first served. Please note that on-site parking is only available on a Saturday. 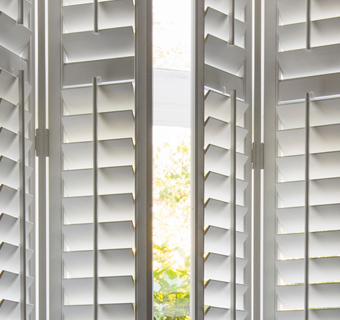 The Winter Sale 20% discount applies to Engineered Timber products only. The offer expires January 31st, by when your deposit needs to have been paid and your order placed. Posted in General News, Local information, offers, Timber Doors, Timber Windows and tagged Aluminium, Back Door, Bi-folding Doors, Birmingham, Blinds, Bygone, Casement Windows, Cast Iron Effect, Engineered Timber, Entrance Doors, Evolution, Fascia, Flush Casement, French Doors, FSG, Garage Door, Guttering, Harborne, Lipped Casement, Luxaflex, Motorised Blinds, Origin, Plantation Shutters, Roof Lantern, Sale, Sash Windows, Shutters, Soffit, Stormproof Casement, Timber, Timber Doors, Timber Windows, UPVC, West Midlands, Windows, Wood Grain.